In preparation for an Edmonton city-wide evangelistic event planned for 2020 entitled, Reaching Edmonton Together, the Greater Edmonton Ministerial Association (GEMA) organized a city-wide convocation weekend that was held January 5-7, 2018. 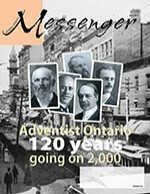 All Edmonton area churches were closed for this event and congregants were encouraged to attend the weekend proceedings. The Friday evening program was held at the Edmonton South Seventh-day Adventist Church and comprised numerous musical performances followed by an inspiring message by the Alberta Seventh-day Adventist Conference president, Gary Hodder. 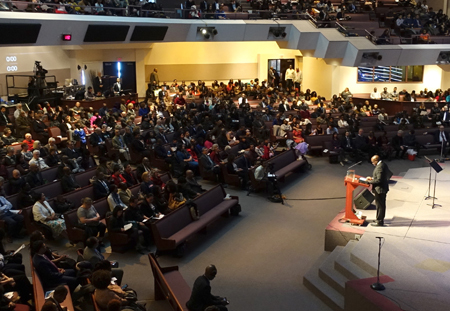 On Saturday morning, approximately 1200 individuals attended Sabbath School and church held at Evangel Pentecostal Church. 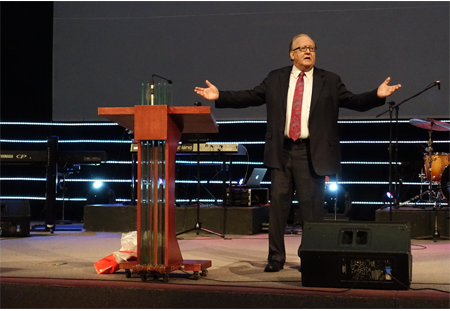 The guest speaker for the worship service was Dan Jackson, President of the North American Division. 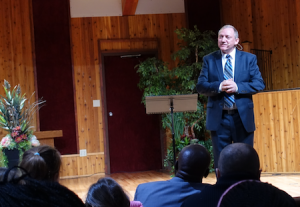 Then for sundown worship on Saturday evening, the guest speaker was Mark Johnson, president for the Seventh-day Adventist Church in Canada. The main purpose for the convocation weekend was to foster an environment of unity amongst the Edmonton churches, share ideas and to start planning for the 2020 event. To help prepare and train individuals, GEMA organized a number of seminars for church members that were offered Sunday morning from 10 a.m. – 1 p.m. at Coralwood Seventh-day Adventist Academy and Edmonton South Seventh-day Adventist Church. Seminars included topics such as: Communicating with Purpose, Friendship Evangelism, Church Sound/Video Basics and Tweenage Dreams/Sabbath School 101, just to mention a few. The seminars were well attended and the feedback was very positive.